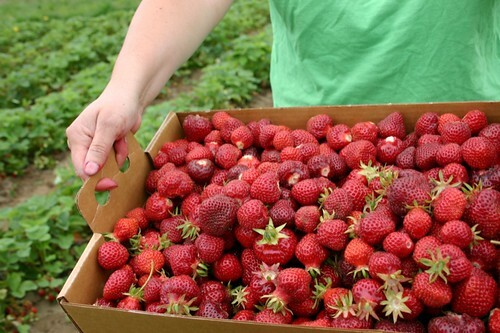 Strawberry season is coming to a close and the next phase of berries are marching along in. 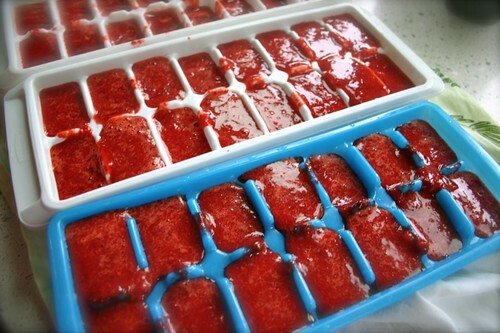 We made strawberry freezer jam, froze whole berries, and pureed them into ice cube trays for easy freezer bag storage for use throughout the winter. I love the taste of strawberries. I don't think any other berry is quite the same. The first berry of the season, the strawberry, is just winding down here in Oregon for its main flush of production. Next up? Raspberries. You know my address. Dry ice readily available. For the ice cube versions, did you puree them with any sugar or anything? Never tried that! Hi Alan, No, no sugar. Just pure strawberry put through the Vitamix and blended into a frothy liquid. I've never tried it either: it's probably not that different than freezing them whole, but since I had already done that, heck, I did this. I'm a big fan of using ice cube trays for freezing lemon juice, and of course, pesto. 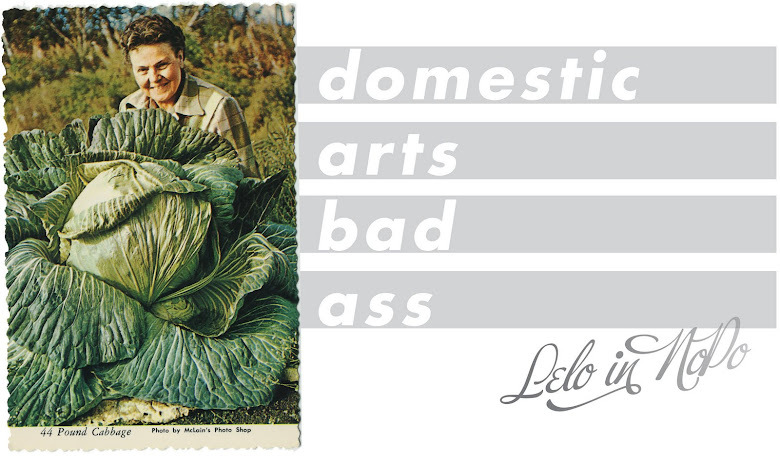 We'll see how we end up using these. Is that how you make freezer jam? Just freeze and puree? omg. omg omg omg. Can you do this with blackberries? YUM.